As we finish orders ready in time for the last post, here’s an update on what we got up to in November. December is here already, but there’s still time to order gifts for Christmas! November was a quieter month for events, but we made it to Leeds Unconventional Market and the re-enactors’ haven, TORM. TORM, or The Original Re-enactors’ Market was a fantastic, bustling event in Coventry. We were very impressed by the knowledge of customers, who could even tell us a thing or two about the history of clothes! TORM put the wonder back into shopping. We were left buzzing from such a variety of sellers. Stall holders sold beautiful, authentic handmade goods – a far cry from the high street! 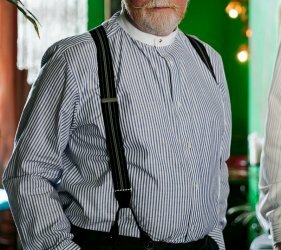 We were thrilled to see customers enthusiastic about our 18th Century shirts and waistcoats. TORM returns on 16th-18th March 2019 and we will be returning. So if you’re a reenactor or history buff then it’s well worth a visit. We hope to see you there! 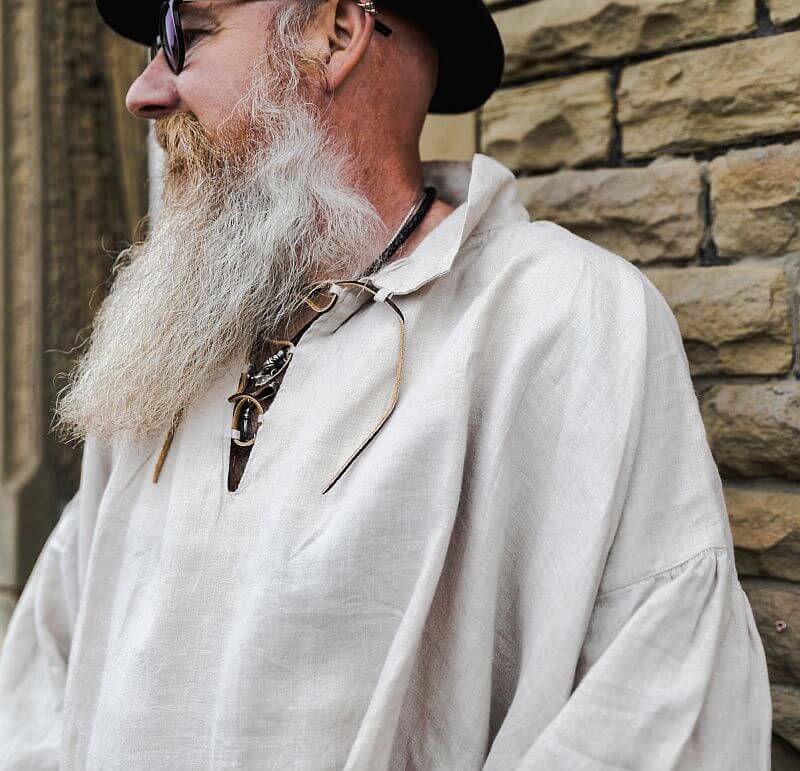 Our natural linen shirt in 18th Century style, affectionately known as a pirate shirt, is now available for a reduced price. It has a lace-up front and dramatic, voluminous sleeves. 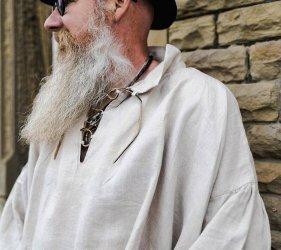 This oversized shirt has a rustic feel and is ideal for customers trying to get that Poldark or Outlander look. 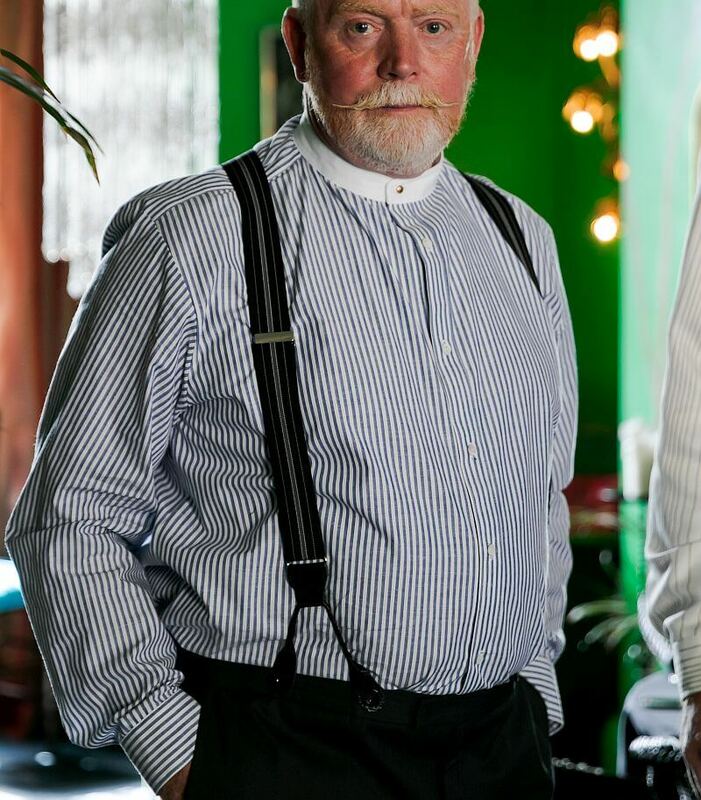 Peaky Blinders style shirts have been a popular choice this year. 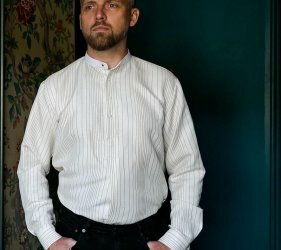 Customers have even bought these 1920s-style shirts for a vintage look at weddings. We will continue to make this style in the new year with new cloth, but stock is running low on the cloth pictured. So don’t delay if you like the colour and cloth combinations currently for sale. The last posting date for orders is 22nd December. There’s still time to buy a unique and handmade gift. Why not take advantage of our nightshirt sale and enjoy some new cosy nightwear over Christmas? Our nightshirts are designed to last, made from high quality, natural cloth so they make the ideal present.